Demand for aluminum is underpinned by an improving economy and tighter emissions regulations for automobiles, said Bank of America Merrill Lynch. The fundamental backdrop outside of China has especially improved, and the bank says the world excluding China may post a 590,000-metric-ton supply deficit this year after a 3.2 million-ton surplus in 2009. “Focusing on demand, the rebound in offtake was of course heavily influenced by a recovery of economic activity, highlighted also in aluminum demand's beta of two times global GDP growth,” the bank added. “The cyclical boost has been mirrored in a high correlation between global vehicle sales and the metal's consumption as well.” In addition to higher vehicle production, the sector’s shift toward lighter vehicles, in order to meet emissions standards, also means more use of aluminum in cars,” said the analysts with Bank of America Merrill Lynch via Kitco News. “Car manufacturers can comply with stricter regulations by a combination of factors, including a reduction in vehicle weight. 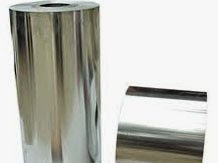 Considering that aluminum has a lower density compared to other raw materials like steel, it can be a material of choice to reduce a vehicle's weight,” the bank concluded.